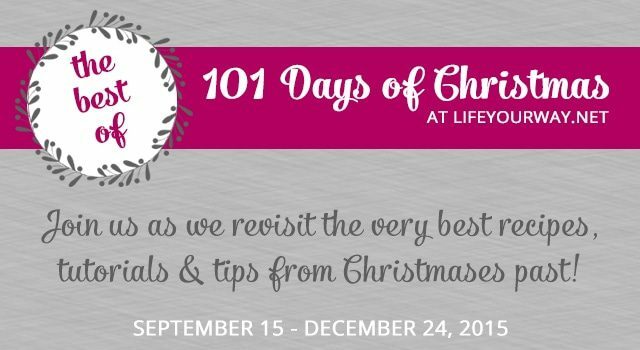 Each week this holiday season, I’m sharing seven of my very favorite 101 Days of Christmas projects from the archives. We’re counting down the days, and I’m a little bit sad that the end is getting so near. As a family, we’ve never celebrated epiphany, and I’m not really sure how to incorporate it—or even if we should—into our holiday celebrations, so we might drag the celebrating out until the New Year, but then life resumes its normal pace! I’m fairly certain this is my last “bark” recipe, but it’s the best for the week before Christmas because it’s quick and easy and oh so delicious. If you’re in a warmer climate, hot chocolate may not be all that appealing, even at Christmastime. 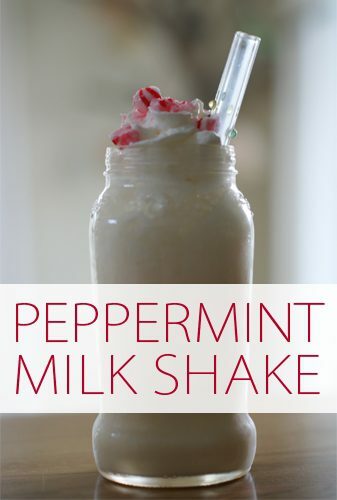 Instead, try this peppermint milkshake for a holiday twist on a cold drink! 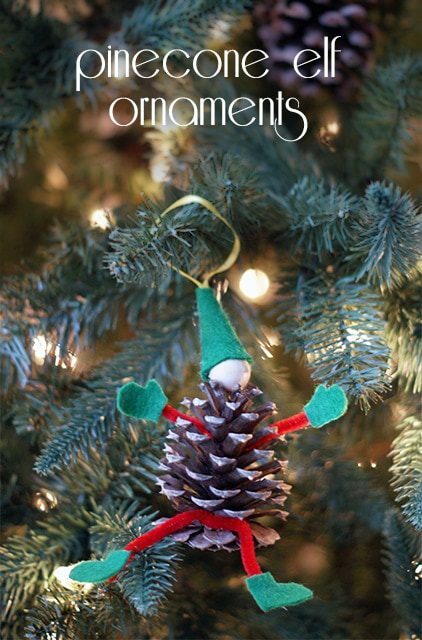 Although I sometimes mourn the toddler days, one of the fun parts of the girls getting older is doing more intricate crafts and recipes with them, like these pinecone elf ornaments. These are still fairly simple, but my middle elementary students can do all of the cutting and gluing themselves, which means their creations reflect their creativity rather than mine! 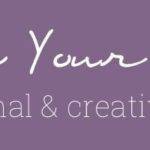 Click here for supplies and instructions. 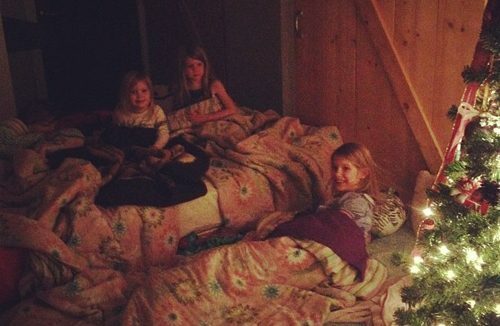 A friend shared this tradition with me many years ago, and I’m so glad we’ve incorporated it into our holiday celebrations because it’s one the girls look forward to every year! Click here for more about this tradition. 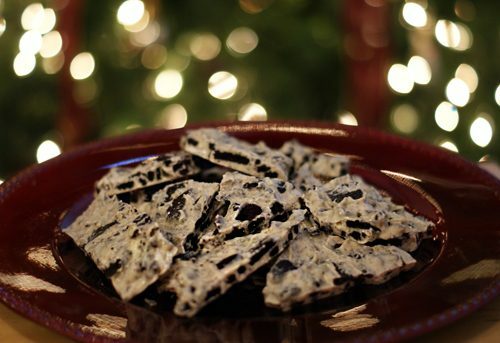 Yes, one last chocolate-peppermint recipe, this time in a delicious crackle cookie from Shaina that everyone is sure to love. 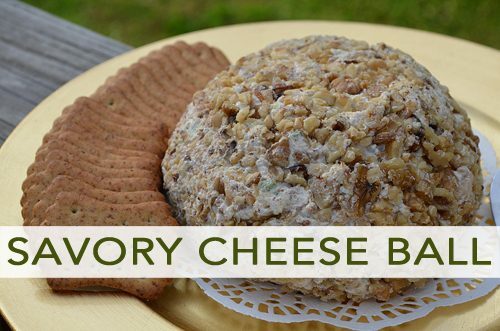 Last week I shared my hot crab dip recipe, but we always serve it alongside this savory cheese ball, which is my sister’s very favorite party food. 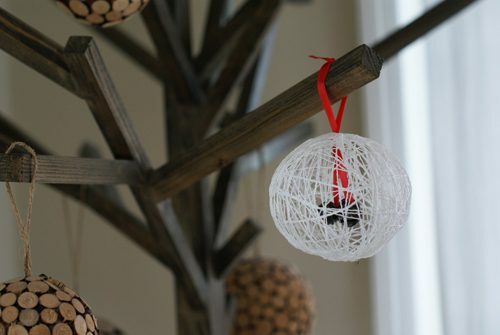 You’ve probably seen some version of these string “balls” already, but these are surprisingly fun (if a bit messy!) to make.